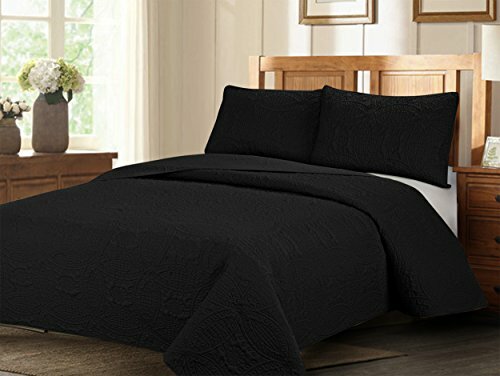 Size:Full/Queen Get a taste of Indonesia in your bedroom with the samara coverlet collection. 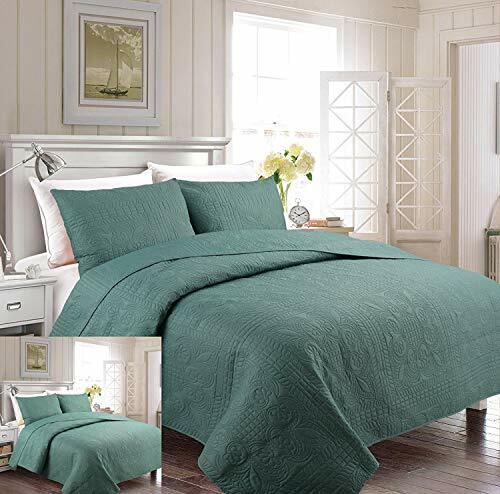 The polyester microfiber coverlet and shams feature dusty shades of green, teal, brown and yellow in this beautiful medallion motif that repeats across the coverlet and shows up centered on each sham. The dusty green color continues on the reverse of the coverlet and shams in a brushed polyester fabrication. 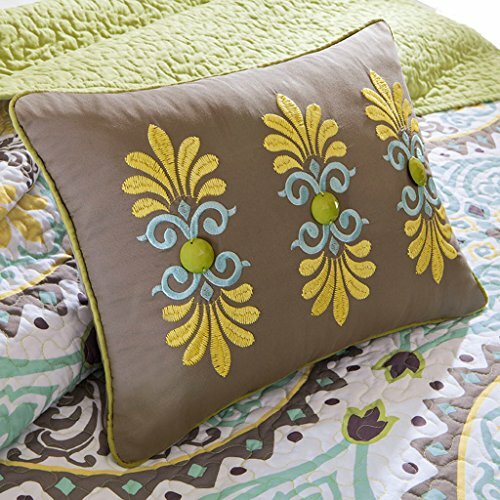 Three decorative pillows complete this colorful set with beading, pleating and embroidery details in corresponding colors.